We are pleased to introduce the Magical Moochi, who is something of a cat-dog. This tall and lanky feline will greet you at the door, put his paws on your legs to request to be picked up, and show you the fun hidden in every household object. He’s a black and white boy — a white tummy and paws contrasted with a black tail, saddle, and mask. This playful, 1-year-old kitty has lived with other cats before. He would do best with cat savvy children over 10. 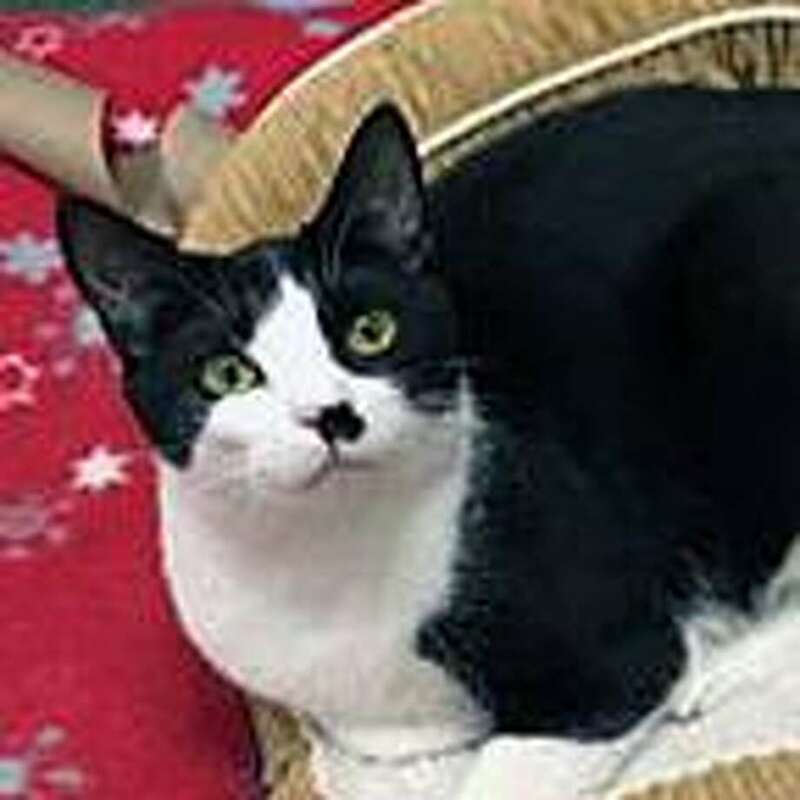 To come meet this cat with an outsized personality, visit us in Westport. To learn more about Magical Moochi visit the Westport Adoption Center at 455 Post Road East, Westport, CT 06880. Or call 203-227-4137.